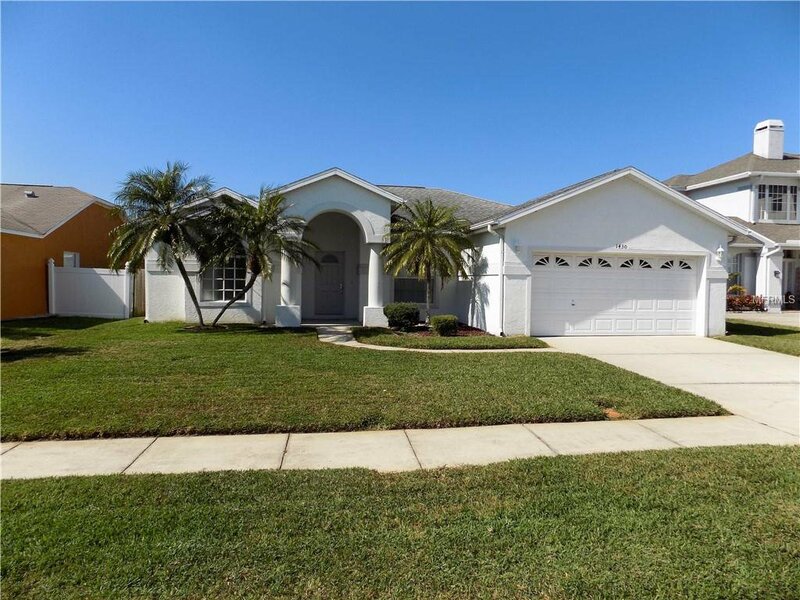 BEAUTIFUL FLORIDA PALM BEACH STYLE 3 BEDROOM HOME LOCATED ON A WELL LANDSCAPED CULDESAC HOMESITE.SOARING CEILINGS THRU OUT HOME.GORGEOUS KITCHEN FEATURES AN ABUNDANCE OF WOOD CABINETRY,CLOSET PANTRY AND A SEPERATE BREAKFAST NOOK.SPACIOUS GREATROOM WITH CATHEDRAL CEILINGS OPEN TO KITCHEN AND DINING AREA.SEPERATE DINING ROOM AND ENTRY W/DESIGNER LIGHTING FIXTURES. MASTER BATH FEATURES HIS AND HER WOOD CABINETRY,GARDEN BATH AND A SPACIOUS WALK IN SHOWER.MASTER BEDROOM OFFERS VOLUME CEILINGS AND HIS/HER WALK IN CLOSETS.SPACIOUS 2ND AND 3RD BEDROOMS EACH WITH WALK IN CLOSETS.SECOND BATH WITH LANIA ACCESS & OFFERS WOOD CABINETRY AND A TUB SHOWER COMBINATION.INSIDE LAUNDRY ROOM WITH WASHER & DRYER INCLUDED.OVERSIZED 2 CAR GARAGE.COVERED REAR LANIA.WELL MANICURED HOMESITE ON A CULDESAC STREET AND MORE! !PRICED TO SELL.OUTSTANDING LOCATION CLOSE TO RETAIL SHOPPING,GROCERY,AREA BEACHES AND 2 MAJOR AIRPORTS. Listing courtesy of SELECT PROPERTIES INC. Selling Office: BELLOISE REALTY.